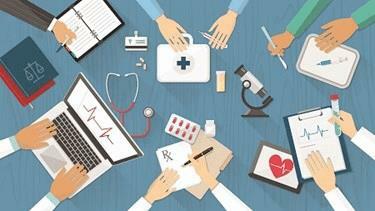 What’s the future of healthcare IT? Healthcare as we know is now becoming digital to an ever greater extent than ever before. The healthcare industry is making most of the new technologies to broaden and strengthen their medical offerings. The future of healthcare IT seems very thriving. Starting from the smart healthcare solutions amalgamated with IoT, along with the integration of AI, medical care is sure to be redefined with better treatment results, and that too at lower costs. The integration of IoT in smart healthcare solutions is going to impact a wide spectrum of services like remote health analysis, fitness programs as well as elderly care. A variety of new technologies will be integrated in the healthcare sector, which will have a huge impact on the patient and doctor relationship as well. With the persistent necessity of evolution in the healthcare industry, it is necessary for the engineers to stay up to date with the hottest advancements. Also, they should be well-versed with the results or the transformation that the new technological product or solution is going to bring to the healthcare field. Or, if they are augmenting the quality of a pretty old technological product, then also, the new tech integrations should be designed to enable the medical professionals offer better care. The developers need to understand that a new, integrated as well as a value-based tactic to healthcare having a solid impact on the sector is required. And, this digital era as we know is fostered by remote, mobile based as well as virtual solutions. In the recent years, 3D printing, Electronic Health Records, wearables, mobile applications etc. were counted as a few subjects which will be the target of the healthcare industry. However, in the coming years, many new technological products are touted to be a part of this ever expanding list, and the healthcare IT developers have to be up with their game to make fulfill the demands of the industry. Also, one of the most important thing is to take care of the data security. The advancement of technology in the healthcare sector should not impact the security of the software or the data by any chance. Though there are a plenty of protracted issues related to digital security in the healthcare sector, still several healthcare organizations have taken a step to embrace the benefits of the cloud-based programs, and the trend is going to go a long way! A plenty of new cloud-based solutions, both public as well as private are being integrated by some healthcare companies to lessen the cost, enhance patient engagement and to access the important data with utmost convenience. We have all succumbed to the power of AI, but now it’s the turn of augmented reality. One amongst the most thrilling modern tech developments in healthcare industry, it is going to have a plenty of applications in the industry. AR basically implies to changing the vision of a person while keeping the person grounded in the surrounding reality. AR will offer a lot of benefits to both doctor and the patient. It can help the doctor to describe symptoms in a better way, it can be used to display the effects of postponing treatment etc. AR is basically enable the care providers to offer an advanced model, visualize as well as efficiently cure diseases and conditions. Long Term Care offerors are becoming a lot more involved with telemedicine which has become pretty conventional, nowadays. It can be a very effective solution boost access to healthcare facilities, if we talk about the new organizations. Telemedicine is considered as a great solution to offer to long term care, across a distance as well. New technologies and technological solutions are on a rise, and these new-age solutions promise enhanced patient care, and enriched outcomes. These emerging healthcare solutions will automate intricate processes and will allow the healthcare professionals to work more efficiently. Therefore, the healthcare software company have to stay abreast with the cutting-edge technological trends in order to create modern and highly efficient healthcare solutions.